The 4 Star Stillorgan Park Hotel is located on the periphery of can cater from 2- 500 delegates with 20..
Silver Springs Moran Hotel combines contemporary design with traditional elegance. 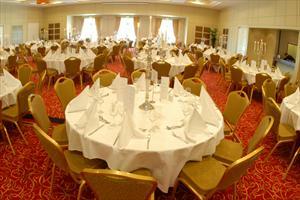 Each of our 109 deluxe bedrooms, including five luxurious suites..
How to Plan a Conference …. continued advice from the experts. On 7 May, 2009 by Ciara Feely	Comments (0), leave your own! Conference Budget: This needs to be drawn up and must contain a revenue and expenditure section together with an actual column. Always include a contingency figure, say 10% of the estimated total. Programme: Clearly identify you objectives so that both you and your speaker know what the conference is aiming to achieve and delegate expectations are met. Marketing and PR plan: You need to identify how are going to reach your target audience. Website will need to be designed or updated. Event Schedule: This is used to plot all the various activities that are talking place throughout the conference. Venue Finder: Professional venue finders, who are experts on venues and offer an independent opinion are always a safe bet to use to ensure you select the right venue. Your reputation is on the line if you chose the wrong venue! Accommodation: This may need to be placed on provisional hold if the conference venue cannot provide or has insufficient space. Audio Visual equipment and production: This is something either the venue can provide or you can source in-house. Alternatively obtain up to quotes from conference / AV companies. Catering, entertainment, transport, delegate bags etc: Make sure you have thought of everything at this stage so that there are no surprises in the budget later on. Great meeting room, just outside Dublin. Convenient to the airport also. Accommodation: This may need to be placed on provisional hold if the conference venue cannot provide or has insufficient space. Ensure there are enough gurestrooms for delegates or that there are excellently priced hotels within easy reach of the conference. You don’t want your delegates arriving late as they were stuck in traffic. Again, consult a venue finder on these. Audio Visual equipment and production: This is something either the venue can provide or you can source in-house. Alternatively obtain up to quotes from conference / AV companies. Ensure you get references, as getting the AV right on the day is essential!! On 1 July, 2008 by Ciara Feely	Comments (2), leave your own! At FindaConferenceVenue.com we are making it easy to plan corporate events. Below are some great ideas on how to plan a ‘Green’ Team Building event. Team building activities can also be used as a means to raise awareness among employees of concepts like Corporate Social Responsibility, fair-trade and the ripple effect of these. These concepts are the talk of the town but most people are unclear of what they really mean. One of the star ‘responsible’ team building activities is ‘Tree Planting”. It can be a great day of fun and easy to plan. It consists of employees planting trees in reserves and managed woodland so as to preserve the nature and contribute to offset their carbon emission. This way your company will work towards a more sustainable, lower carbon-emitting events industry and your employees will have fun while learning the concepts of sustainability. Rooted in Ireland is an oak planting project in Drumconwell, which is just outside of Armagh. They are open to having a group but it would only be in Spring or Autum, as these are the times at which they plant.The following are a few suggestions on great outdoor team building venues in Ireland – Toddsleap – only 90 mins from Belfast and Dublin, Killashee House in Naas – 45 mins from Dublin, Fota House in Cork- a beautiful stately house with themed park and golf course, or a the perfect Boutique Hotel in Kenmare – The Brooklane. FindaConferenceVenue. 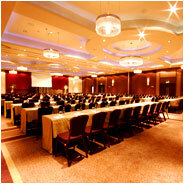 Com can help you to find the right venue for a successful corporate event. The website will allow you to search for the best Irish Team Building Venues. Or you can also call us and ask for our expert advice. Read our Corporate Event Planning tips for some more great suggestions. Welcome to the blog of Ciara Feely, the founder of FindaConferenceVenue.com, Ireland's expert on Conference Venues in Ireland. Ciara offers a free service researching and giving advice on venues in Ireland for Conferences, Meetings and Events. Just call or email her. The website is a comprehensive listing of over 500 venues in Ireland – independently search for venues and send an enquiry directly through to the venue.